The Ballyglunin Community Development Charity was formally established in 2012. However, a voluntary committee has been in place since 2004. Our goal is to restore the Ballyglunin Train Station and develop a heritage and arts centre at the station which will become an destination for visitors from across the globe. We are working closely with Irish Rail and CIE as well as Galway County Council, National Heritage Council and local academic institutions. The charity has four directors and 10 members. 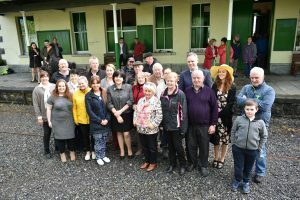 Members include: Seamus Nally, Maura Flannery, Gerry Finn, Leonie Finn, Michael Coleman, Joe Boyle, Micheal Finn, Marian Williams, Padraic Mannion, Eugene Finnegan, Marsha Fleming, Peter Roche, Karey McHugh. The restoration project is an entirely community led initiative. All members contribute their time on a voluntary basis. The committee has been humbled by the generous donations of time and effort by local professionals. Raise the necessary funds to carry out works outlined above. 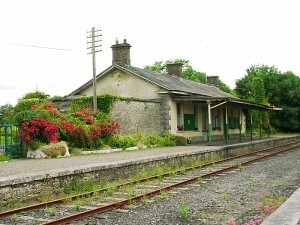 Produce an interpretation plan for the station. Continuous engagement with local community to develop the station as a focal part of the area.